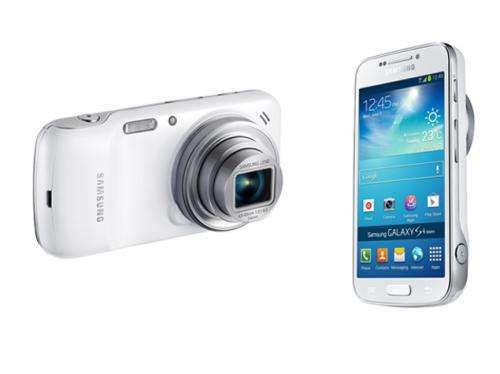 Samsung Electronics today announced the launch of the Samsung GALAXY S4 zoom, a powerful new device which combines the stylish heritage of the latest GALAXY S4 smartphone with advanced photographic capabilities. For easy camera navigation, the Zoom Ring can be used to activate the Quick Launch and Shortcut features, giving you instant access to multiple camera modes including Auto, Gallery and Smart Mode with a simple twist. The GALAXY S4 zoom's heritage is evident throughout, from its sleek and stylish design to the powerful, yet intuitive user interface. Running on Android Jelly Bean 4.2, the GALAXY S4 zoom boasts many of the same features as the recently launched GALAXY S4, including Touchwiz, which lets you fully customize various aspects of your device including the lock screen and notification bar, for a truly personal mobile experience. When you return from your travel adventures, Story Album lets you arrange all of your treasured images and videos into one timeline to share with friends and loved ones. You can also edit images and even order prints directly from the device through a partnership with blurb*. If you'd rather transfer your images to your laptop or tablet for safe keeping, Samsung Link lets you do so quickly and easily with just the touch of a button. Alternatively, you can sync all of your data in your own personal cloud through HomeSync, providing the ultimate peace of mind and ensuring your images and videos are waiting for you whenever you need them.